My sister Janaya has worked so hard this year to prepare for Christmas; her wish was to have my niece, Madilynn, experience the dream of a lifetime--a complete Frozen-themed room. Ever since the movie Frozen was released, my niece (like millions of children) has been enraptured in a snow flurry. Once you watch this clip, you will see just how miraculous this Christmas miracle is; no mother has worked harder to provide the best Christmas ever. True Christmas miracle and a very strong little boy! 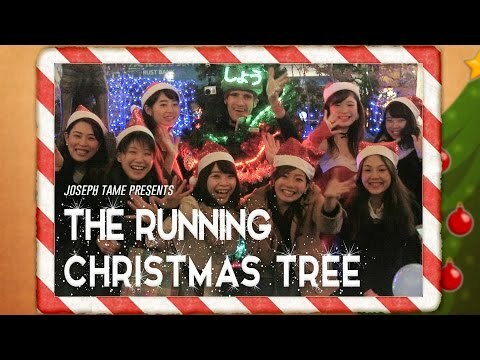 A British man is running around Tokyo is spreading Christmas cheer in a very... unique way.